Utagawa Kunisada/Toyokuni III (1786-1865) Two Actors Preparing Food, 1820’s. Oban diptych. 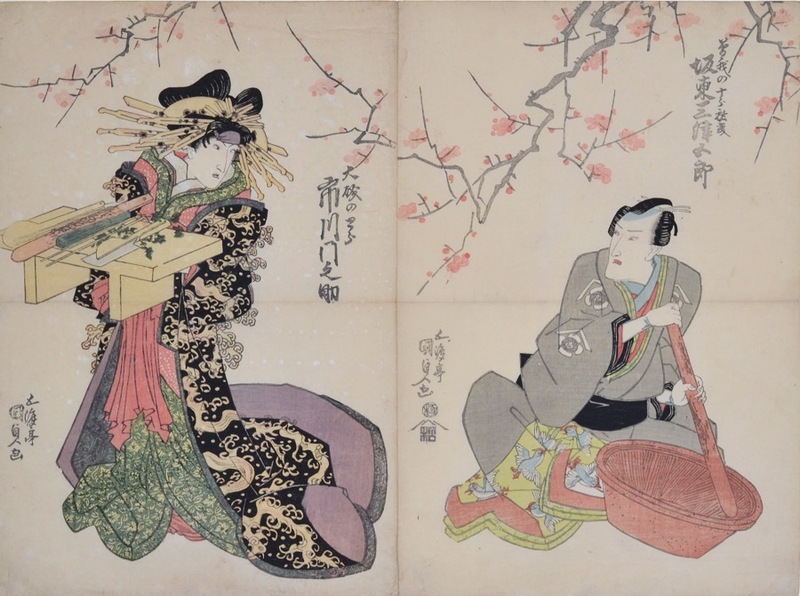 This lovely and early Kunisada diptych shows two stage actors preparing food under cherry blossom. 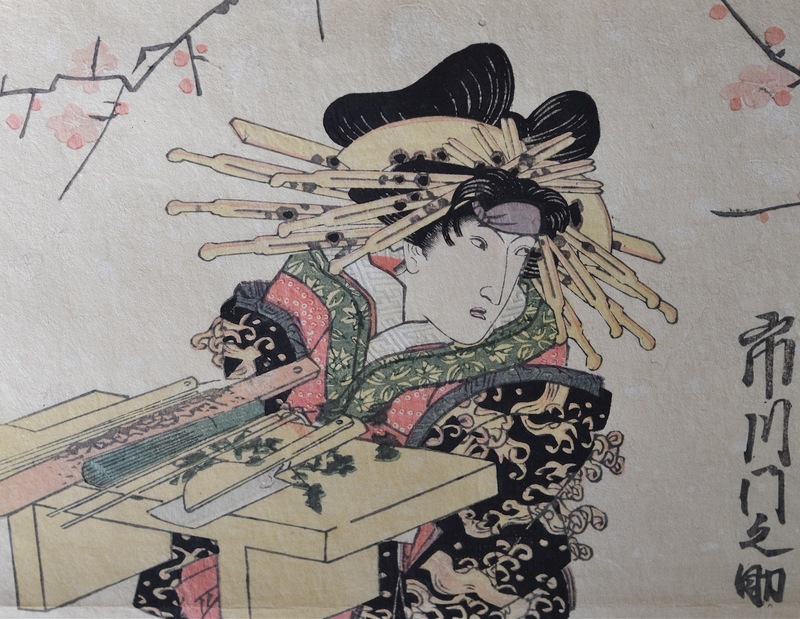 The left hand panel is especially beautiful, and shows Kunisada’s delicate drawing of the female character (onnagata) particularly well. This is a very fine early impression with very crisp edges and very good colour and splashed gofun for the falling blossom and embossing to the collars. The print is in very good condition apart from a centre fold to both sheets.